Ep. 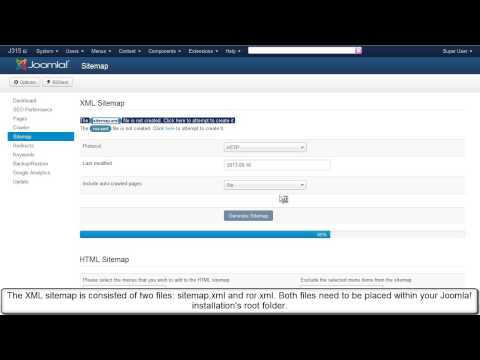 17 - How to verify Joomla! site ownership for Google Webmasters Tools with RSSeo! Home / TV / RSSeo! / Ep. 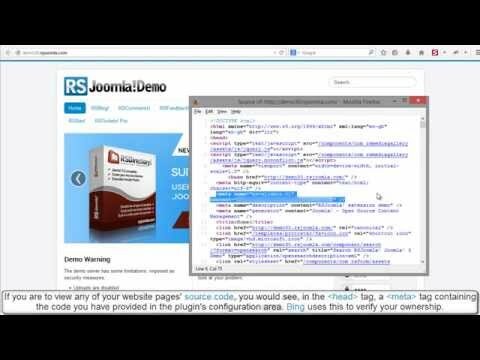 17 - How to verify Joomla! site ownership for Google Webmasters Tools with RSSeo! Google requests verifying the site ownership when submitting a sitemap to the Webmaster Account. RSSeo! allows you to verify the site ownership, directly from the backend Joomla! administrator panel for major search engines . In this episode we will show you how can you verify a Joomla! site ownership for Google Webmasters Tools. In the backend Joomla! 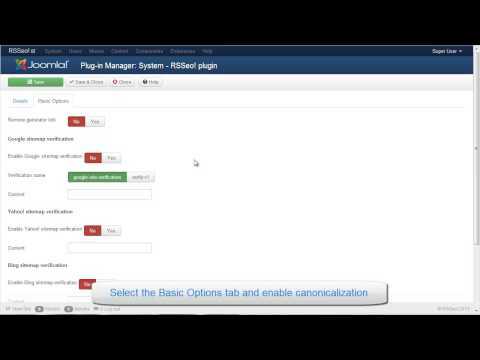 administrator panel, head to Extensions >> Plugin Manager >> System RSSeo! In the "Plugin Parameters" tab, enable the sitemap verification option for Google. Copy the meta tag content (the string in brackets) and paste it in the backend administrator panel >> System RSSeo! plugin. 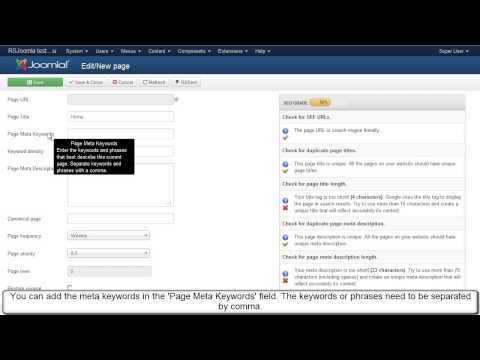 Once you have added the meta tag, you can verify the submitted sitemap to the Google Webmaster Tools account. I really enjoyed your video. Thank you for taking the time to post it.